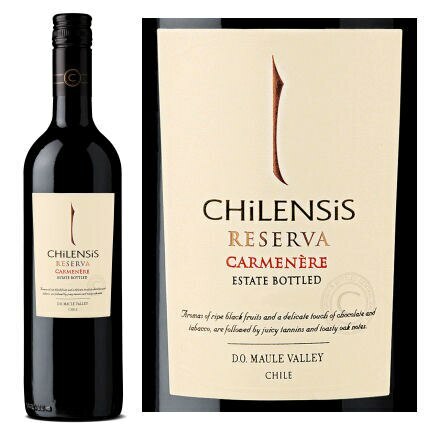 The Reserva Carmenere displays a dark red color with violet hues. Its intense nose reveals aromas of black fruits such as blackberry, black currant, and blueberry with a delicate touch of chocolate, tobacco, and fine oak notes from barrel aging. 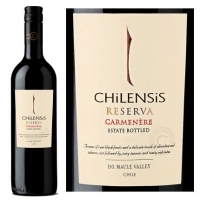 The medium-bodied palate presents soft, elegant tannins with good structure and a fine finish.